The past few weeks we’ve gone on several listing appointments. We’ve got some great new listings coming to the market in the next few weeks by the way, so stay tuned. We don’t take every listing for a variety of reasons. Sometimes the seller is upside down on the mortgage and they don’t want to short sale, or perhaps the market isn’t quite where the seller wants it to be so they wait. Each seller has his or her own reasons for deciding if and when to sell, and we merely help them in the process on their schedule. How to Interview an Agent to Sell Your Home. One trend we have been seeing is sellers asking a lot of questions. Some have a pre-printed list of questions and others are asking questions based upon ideas that came about from interviews with other agents. If you’re unsure of which questions to ask, our website www.TopAgent.com has a list of 49 questions to ask before hiring a real estate professional. Our list has been online for over a decade. While it could probably use a little freshening up there are still some good ideas in there. As we freshen it up the number of questions could change. One question on that list is How Many Listings Did Your Team Sell Last Year? This is a much different question than how many homes did you sell last year. Recently we went on an interview and the seller had interviewed several agents. The first agent came in about 20% higher than we were. I had never heard of the agent they were interviewing. She worked for a company with little market share so I looked her up in MLS and found that she had Zero listings sales. The seller interviewed another agent who had 5 listing sales. While not a lot, that’s a lot better than Zero. The agent with 5 sales came out similar to our numbers. Working with a seller is much different than a buyer. Buyers are the easiest part of the business. Working with a seller requires more training and knowledge. 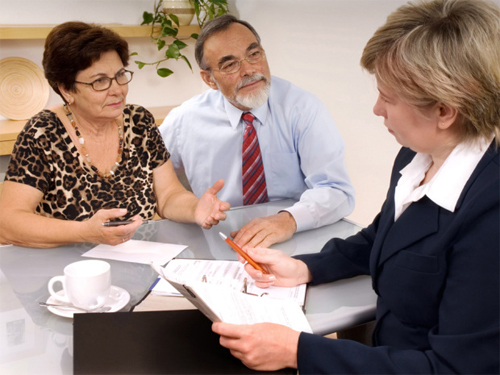 Sellers have been known to eat and spit out newer, inexperienced agents. They need to know if their home is priced correctly in the market, if any new listings have entered the market that is competition, how each showing went, where the home is being marketed, open houses, and what type of calls the agent is getting. Sellers want to know all about the home up the street, and why Fred the neighbor says they priced their home too cheap. They want to know why all the cars are stopping at their neighbor’s home. They’ll have 3 people from work who say they want to buy the home and ask agent to follow up with them. When a contract comes in it gets interesting. Since they just had 4 showings they’re convinced all 4 will be writing full price offers and follow up with each of them. Once a contract is accepted it gets really interesting and all the anxieties about inspections and contingencies come out. It takes an agent who can handle a seller’s emotions. An agent with a lot of experience working with seller sis preferable. Asking the right questions before hiring someone to list your home will prevent this frustration later. The solution is simple. Interview more agents until satisfied with the answers. Hiring the right agent is perhaps the most critical decision you will make in the entire process. Spend the time upfront and it will save you in the long run. Last year we said it was a good time to buy because prices were heading up and interest rates would eventually rise. Is Now the Time to Buy? 4 things affect the cost of owning a home, not counting maintenance of course. Those 4 things are debt, interest, taxes, and insurance. Last year prices were rising and they still are. Interest rates are rising now too. Interest rates were artificially low because the Fed has been buying down rates by purchasing bonds to stimulate the economy. They’ve been purchasing about $85-billion-a-month in Treasury and mortgage bond purchases however a few fed governors have hinted that they’re ready to vote to discontinue buying down rates as soon as the economy shows signs of recovery. Wall Street immediately sold off stock a few weeks ago in anticipation of this. Fed Chairman Bernanke later said they’re not stopping the program now although nobody knows for certain when the program could end. Here’s what we know. 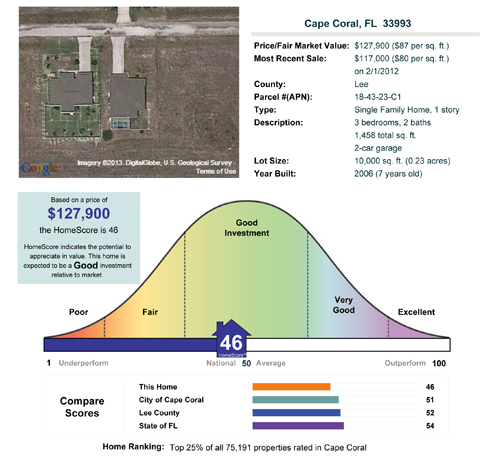 SW Florida real estate prices were artificially too low after the real estate bust. They were so far below replacement cost as we worked through thousands of foreclosures and short sales. It was only a matter of time until the market recovered. 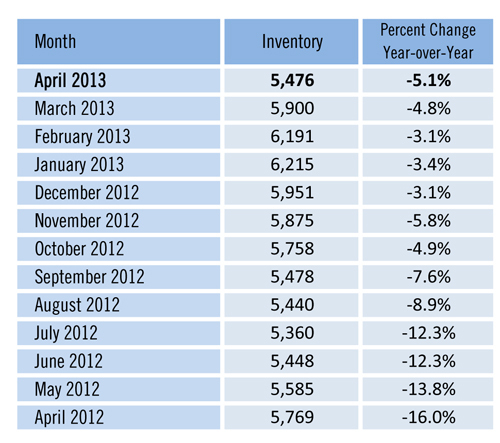 With inventory on the decrease and foreclosures down drastically from their peak, prices have been rising. After the bust we had two artificial moments that created an absolute buying bonanza for investors and buyers. Investors were the first to pick up on the opportunity as regular buyers were afraid the market could fall further. Regular buyers tend to follow the herd and react. The artificial low prices are wearing off and soon the artificially low rates will too. This does nothing but add to the cost of home ownership. For the past several years we’ve pointed out what rising interest rates and rising prices could do, but sometimes it’s easier to see in graph format before it makes sense. I always get a kick out of radio show call in listeners or people on TV that think Realtors just say “now is the time to buy” because they want a sale. While I’m sure every Realtor would like a sale today, there is just no way of getting around the facts. Last year was a better time to buy a home than today, and today may be better than next year. We’re not saying to follow the herd. We told people in 2009 it was the year of bouncing along the bottom and it was. We told people back in 2005 prices were high and not sustainable. We’re not afraid to tell it like it is because we study market indicators. Successful Realtors sell properties in up, down, and sideways markets. Our job is to educate the community on what’s going on today, and we feel like that’s what we do, Some people like what we have to say and others don’t. As consumers we don’t always get to choose the market, only how we react to the market we’re given. Realtors don’t control the market. If we did the market would have recovered much faster. We’ll keep informing you what we’re seeing based on the data we look at. If you’re considering buying, we think now is a good time as you’ll be able to afford more home today for the same payment than you will next year. If you’re thinking of selling consider two things. Prices are going up. When interest rates go up too it cuts into buyers’ potential, thereby limiting how many buyers can afford your home. Rising rates can stifle demand, which can hold back prices. It won’t help the buyer when rates go up, and it doesn’t help the seller either. Until the economy definitively turns around, nobody knows exactly what prices will do. All we can say is your options are better today than they will be next year. Good luck and happy buying/selling!